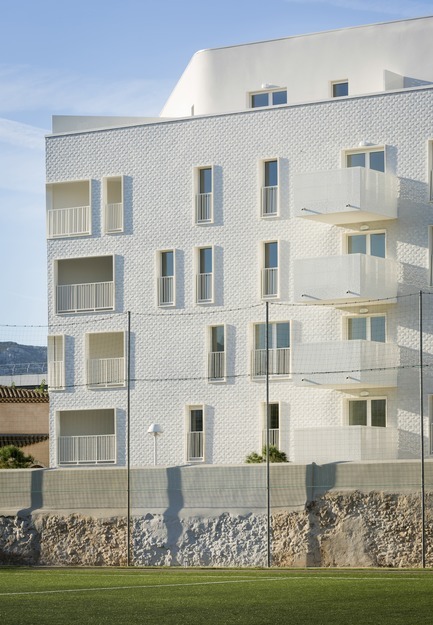 La Barquière is a 62-housing project located in the 9th district of Marseille (France). 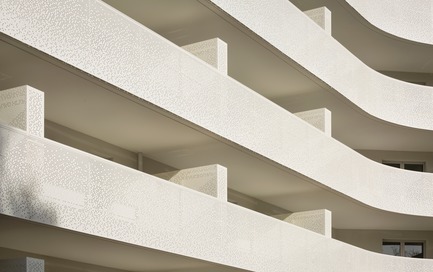 The urban neighbourhood offers to the project a unique setting. 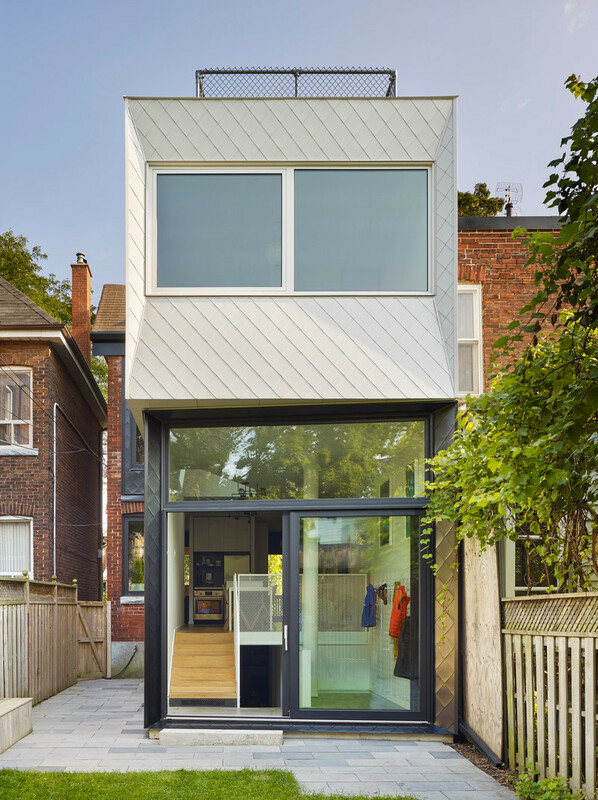 Drawn in keeping with its context, this project respects all the family owner wishes. The owner wanted to keep the old building dated from the 18th century. 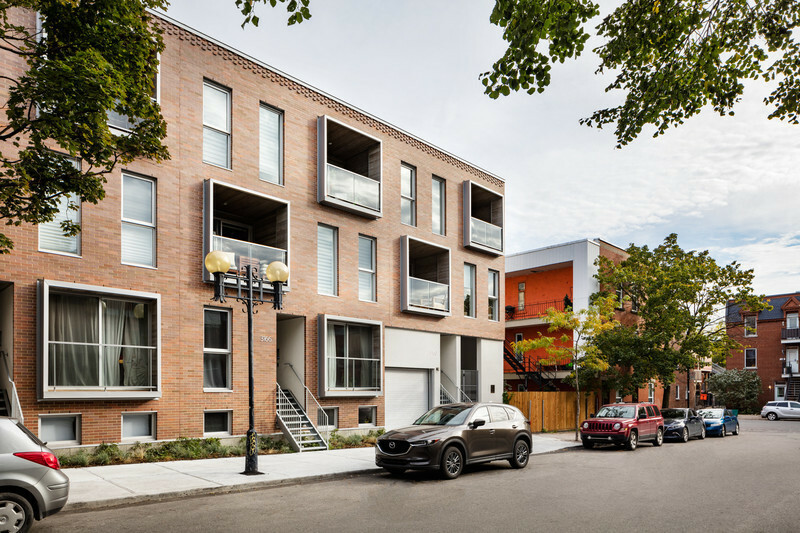 The existing old building and the wooded environment proximity forced the project to become part of a complex height. 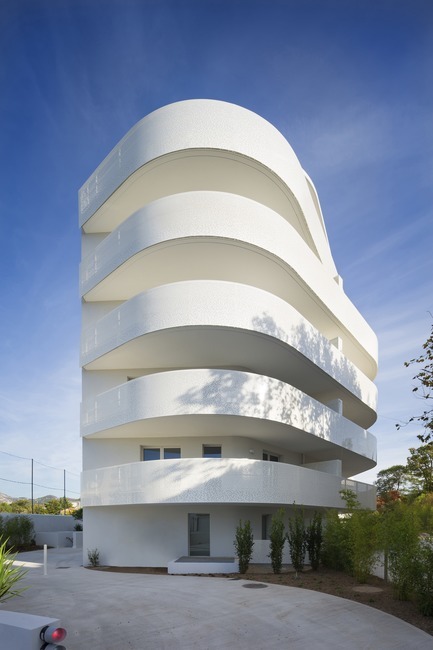 There is a duality between the two frontages: the first one is angular and the other one is undulating. It presents an opposition of architectural treatments. 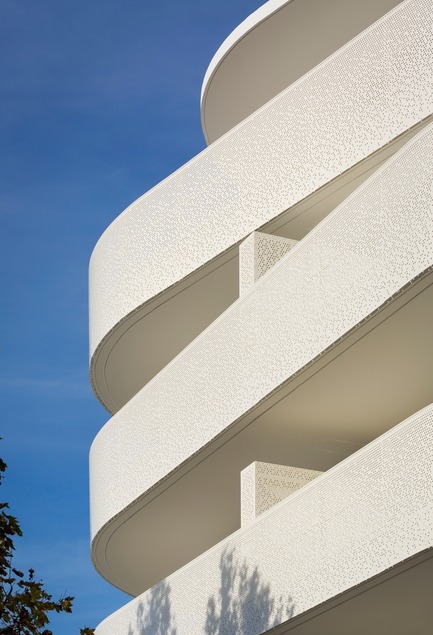 To the South, a long white frontage full of flowing balconies is slipping all over the apartments oriented to the garden. 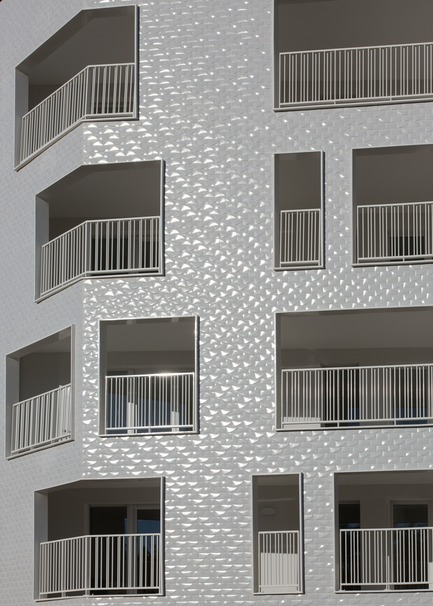 To the North, the straight and angular frontage is covered by a white-faceted mosaic. It creates incredible lighting effects and reflects all over the ceramic. 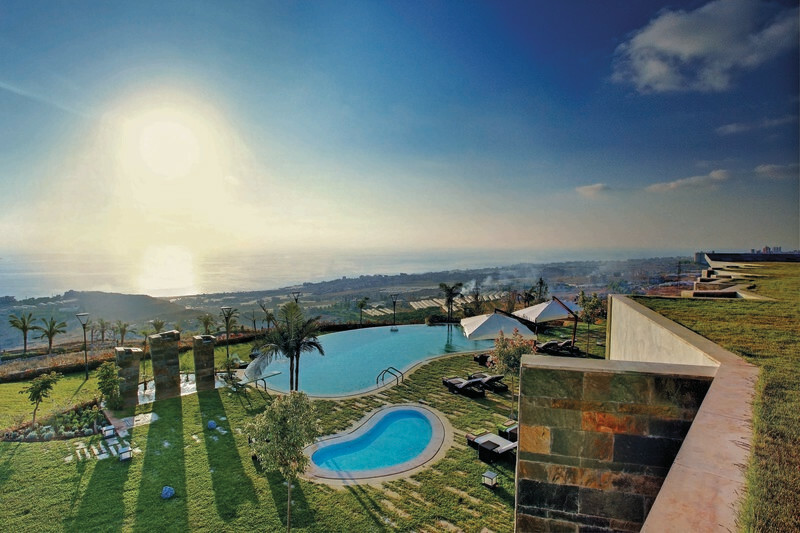 These effects will fluctuate day by day, season by season, with view over the sky and the Mediterranean Sea. Like many large Mediterranean port cities, Marseille is a cosmopolitan and composite city whose generous and heterogeneous nature is all too often masked under the images on picture postcards. 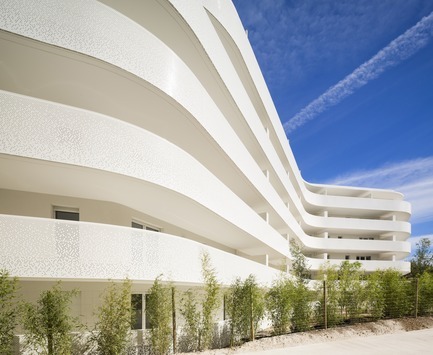 Vast white, mineral city in the south-east of France, more work-oriented than the seaside, it extends to the Calanques. Nature Reserve that makes up the wild southernmost part of the ninth arrondissement. 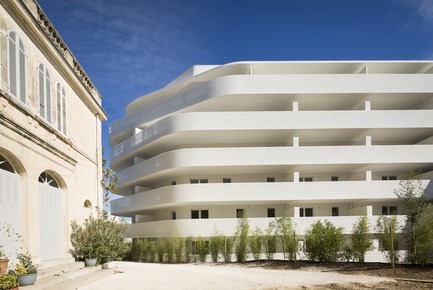 It is here that La Barquière has recently come into being on the corner of the eponymous avenue and Avenue de la Soude, following the division of a privately owned piece of land planted with pretty trees, the site of an 18th century Provençal house. 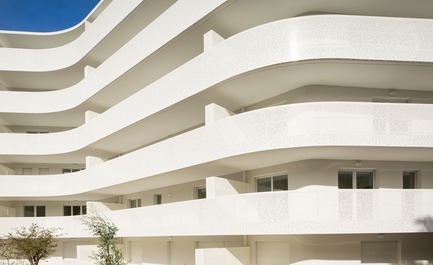 The operation is set against a contrasted urban fabric—so characteristic of the “charming mayhem” of Marseille, where large neo-Provençal villas, individual houses, small buildings, blocks of social housing, a stadium and a modest business park sit happily side-by-side. Becoming more abundant here, the vegetation confers on the building a greater sense of urbanity whilst highlighting its mineral character. 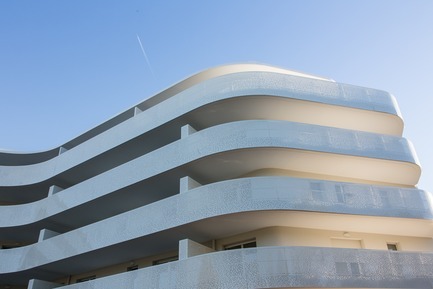 The presence of the “big blue” Mediterranean Sea can still be felt even if the littoral zone is only discernible from the building’s uppermost floors. 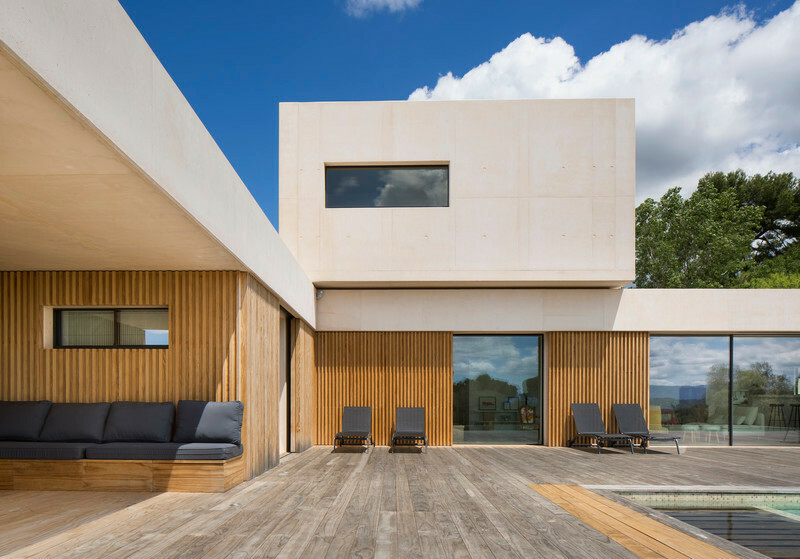 The owners of the original plot wished to keep its southernmost section (2,203 m²) reminiscent of a luxuriant urban oasis and which runs along the western edge of the house where they live with their family. 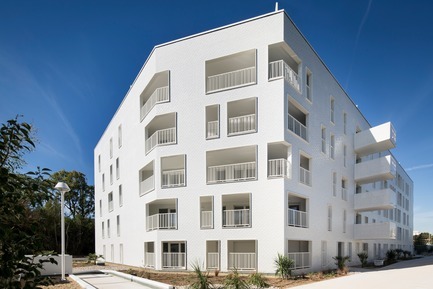 On the remaining 3,912 m² on the northernmost limit of the plot, Constructa and Eiffage Immobilier developed a program of 62 residential units for first-time buyers. 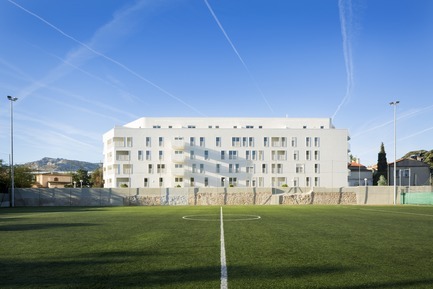 Oriented north—south and served by two stairwells, the units are grouped into one six-floor building including two “attic” levels and with two underground parking levels (77 parking spaces) conferring upon residents a sense of relative privacy in relation to the small stadium with its skate park, built by the municipality to the north where the two avenues intersect. 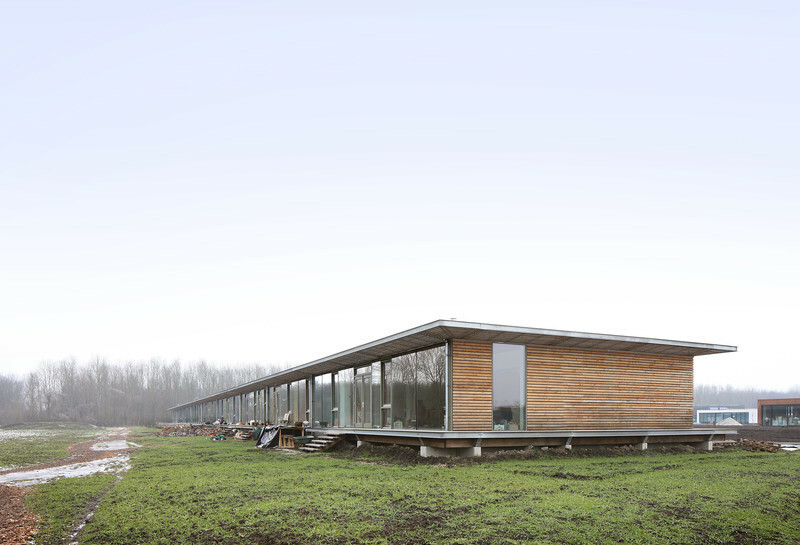 Its minimal footprint (991 m²) guarantees the preservation of the plant life. Since the original entrance onto the plot is now to be shared with the existing house, traffic flow generated by the new building is directed immediately to the left towards the ramp leading down to the two underground levels. 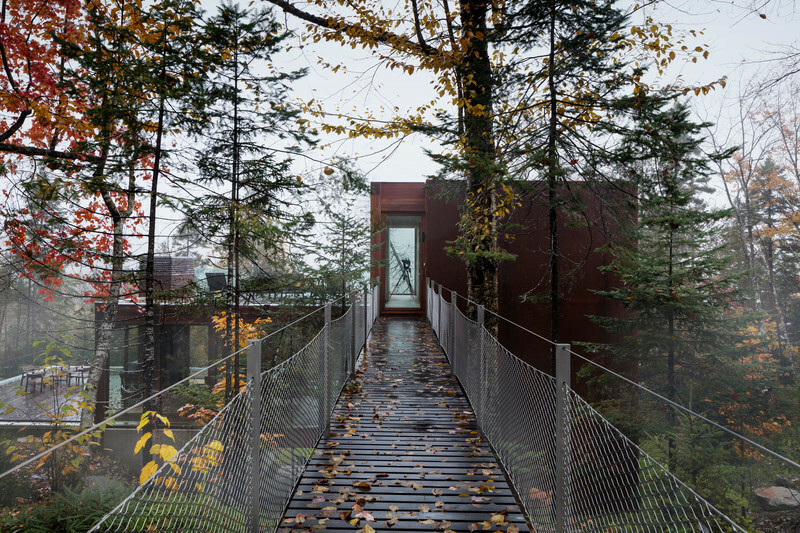 Despite running as closely as is possible to the perimeter wall erected on the northeast of the plot, the new construction leaves enough space for a beautiful driveway—lined with plants and greenery—leading up to the building’s two halls and serving as access lane for the fire department. the balustrades of its continuous balconies undulate along the southwest facade whilst to the northeast resolutely orthonormal ornamental features highlight the enamelled ceramic and loggias. 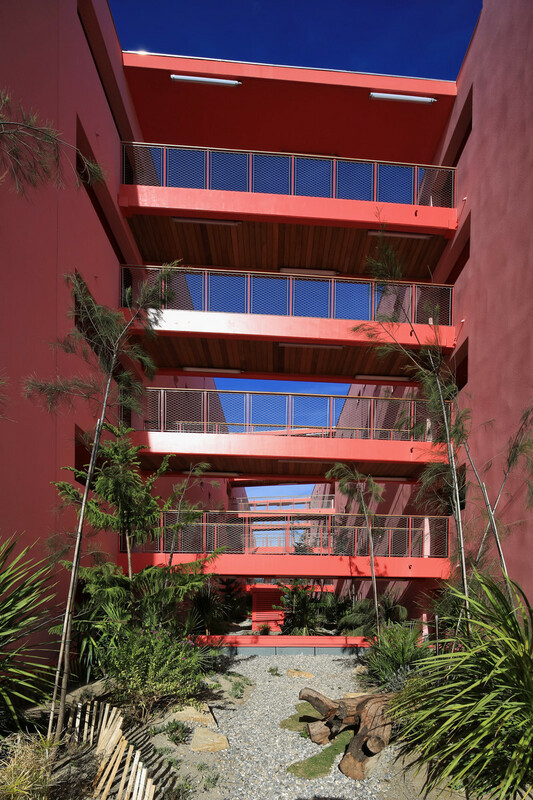 With its framed openings, double tubular aluminum balusters and its skin faceted to size, the frontage of the newest building establishes an unexpected dialogue with the Phocaean city and its ethereal light. 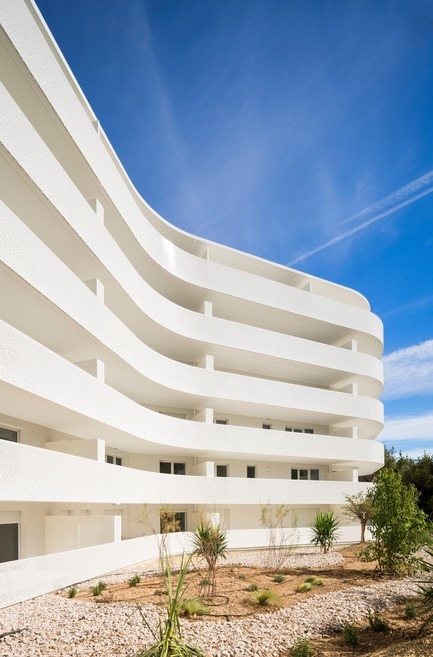 Facing the garden, its sinuous “flip” side—sculpted by the shadows cast by the Midi sun—caresses and soothes the Proven.al “jungle” and the landscape of the Calanques massif. 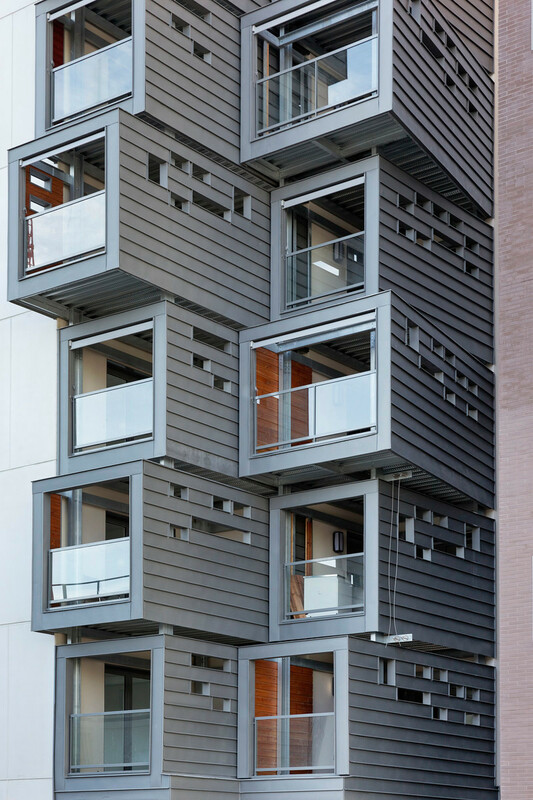 The camber, like a west-facing prow, and the fifth-floor attic level endow a soaring and dynamic quality. 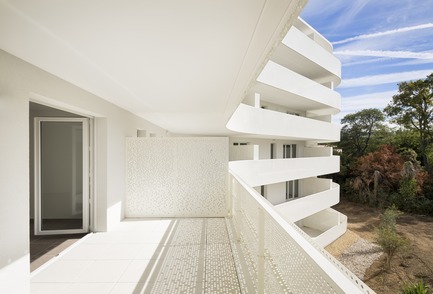 Enhancing privacy between neighbours, the folded sheet metal balcony separation in 50 cm thick casing subtly “absorbs” descending rainwater, stopping at a height of 180 cm to avoid “caging in” the balconies. 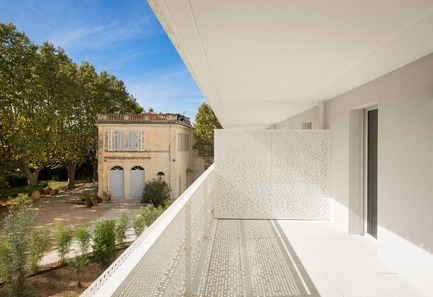 Lit by natural daylight, the two entrance lobbies to the apartments are preceded by a benignant covered “courtyard”—also tiled—its glass doors conducive to security. Intentionally white like the circulation areas in the upper floors right down to the hardware, fittings and electrical fixtures, their floor is coated with a poured, polished concrete Terrazzo covering flecked with marble chips and blue speckles. Only the doors onto the landings and the signage—specifically designed by the agency for each project—feature black (full or half tone). Acoustic comfort in the corridors serving the apartments is ensured by the thick carpet laid on the floor and suspended, partially acoustical, ceilings. All the distribution ducts and waste fluid evacuation pipes are meticulously integrated into the partition walls. 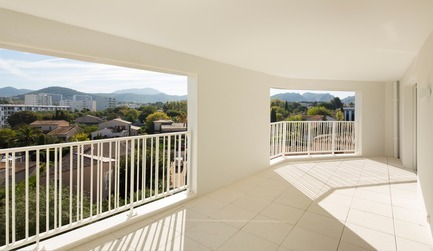 Similarly, all the thresholds of the French windows leading out onto the balconies or loggias are flat, the outer frames of the windows and roller blind rails (in white PVC) are invisible, hidden behind the thermo-lacquered folded aluminum frame running around the windows (with integrated sills and flashing). 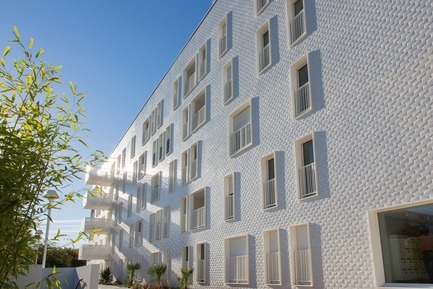 While the floor plans of the apartments—once rationalised and optimised—are organised identically on each floor, only the position of the bay windows is different to the north and east in order to liven up their general modenature and in some cases to address the lack of privacy between neighbours. 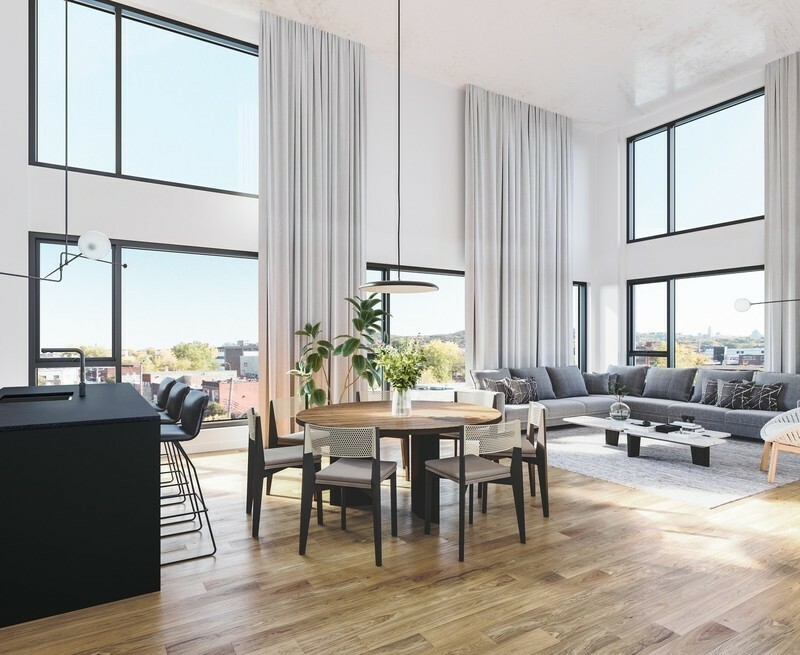 The layout of respective apartments is such that unnecessary circulation areas have been carefully limited in order to maximise the surface of the living areas, despite the standardisation operating in the real estate market. 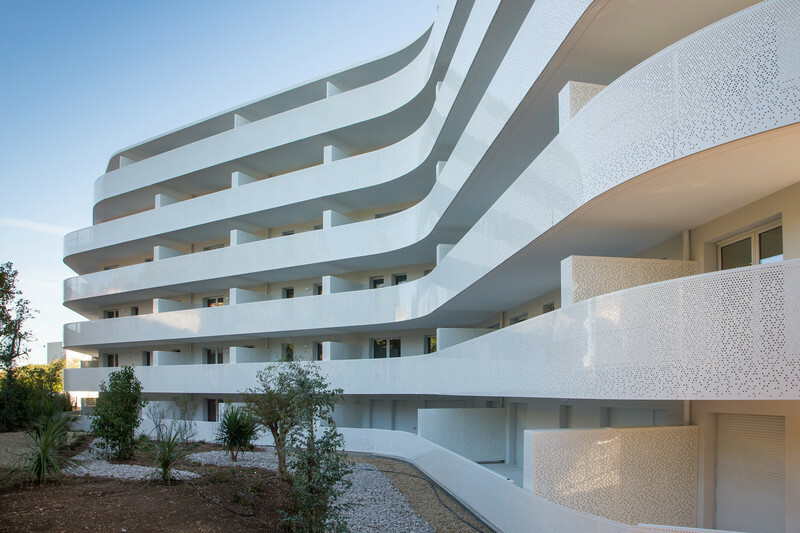 With the exception of a one-bedroom apartment on the ground floor, each apartment boasts a balcony, a loggia or a continuous terrace, depending on its size and orientation. The development of digital, in construction industry manufacturing processes, has greatly increased the potential for true personalization of high-performance products thanks to their technological standardisation. Architects can, therefore, henceforth appropriate all of these products. Not only does this “identity customisation” enable today’s designers to have recourse to a sort of made-to-measure, but it can also be credited with contributing to the reestablishment of a privileged dialogue between architects and manufacturers, essential for their respective R&D—research and development—departments! 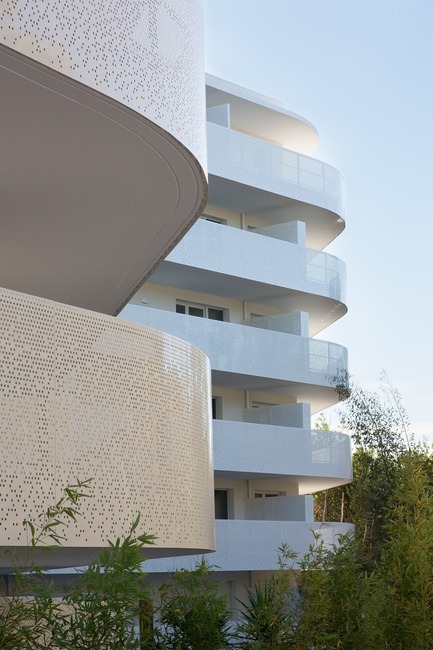 For several years now, Jean-Baptiste Pietri has thus been appropriating such conceptual resources and means of production with the aim of perfecting the architectural identity of his residential real estate projects: signage, flooring, handrails, façade coatings, etc. La Barquière did not escape such enhancements. 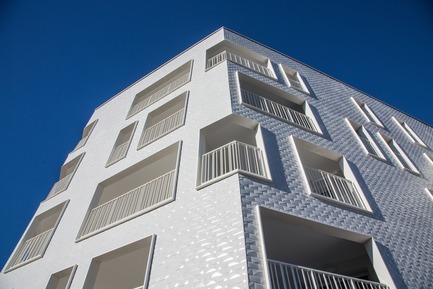 The marketing standardisation and hyper-regulation of multidwelling units, both affordable and privately owned, could have led to a situation whereby their architecture became nothing more than an everyday affair, banal and repetitive. 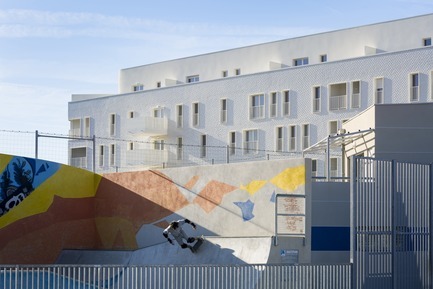 Thanks to the commitment of architects—most of them young—such as Jean-Baptiste Pietri, novel solutions are being found for the private sector that do not compromise the financial equilibrium of the operation. 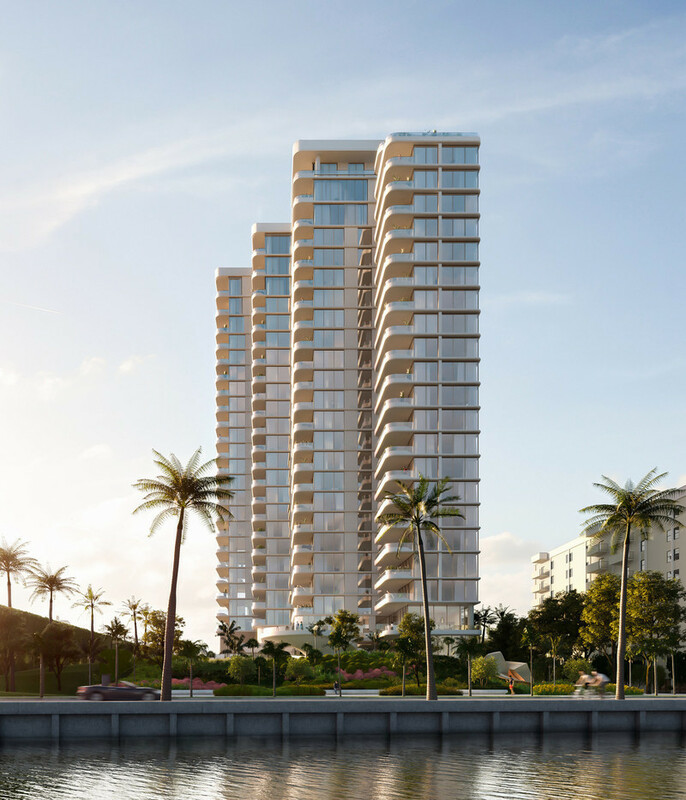 They are born of knowledge fostered by skilfully managed involvement in the construction process, mindful above all of optimising programs and typologies and thereafter of using money wisely, just where whatever will make the difference is nestled. Forward-looking dialogue with manufacturers—with the help, in particular, of shared digital tools—is contributing to the best possible appropriation of manufactured products and materials.